Love your beach and keep it safe! Did you know that the majority of waste found on Vancouver beaches is left behind by local beach goers? Cigarette butts, needles, styrofoam take out containers and Starbucks cups are constantly being left behind creating safety hazards and destroying our environment. Your beach needs your help! Our goal is to clean every major Vancouver beach in 2017. 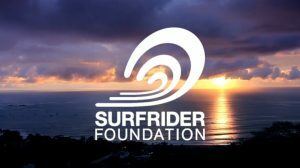 You can join the Surfrider Vancouver team by signing up for this cleanup. Bonus points if you invite a friend to come! Beach cleanups are a fun and easy way to get involved and keep your beaches and oceans clean. Help keep our beach cleanups totally zero waste — don’t forget to bring your work gloves and a reusable mug to our events! Help us protect where you play! We are stoked to announce Fjallraven Canada is providing 20% discount for the cleanup participants with a proof of participation in the clean-up (Eventbrite registration confirmation). This discount will only be valid at the Kitsilano location and valid Saturday and Sunday (16th & 17th) only. The discount will be applicable store-wide on regular priced merchandise, with the exception of the Kanken backpack. Please save our Trees by avoiding printing the Eventbrite confirmation, and showing it on your mobile device instead. Safety First: For safety reasons please bring gloves and closed toed shoes. Always use a stick or trash picker to sift through the sand to avoid sharp objects. If you come across any sharp or hazardous object, mark it and tell us, our team can handle the safe removal.